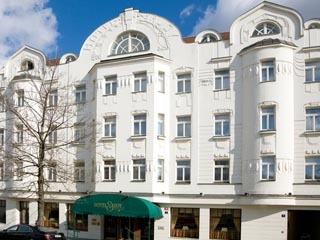 Welcome to the Hotel Savoy in Prague, the first member of the Leading Hotels of the World in the Czech Republic. Hotel Savoy's slogan ”A Unique Experience of Charm and Luxury“ embodies the unprecedented combination of the first class quality, incomparable hospitality, uncompromising attention to every detail and a personal touch that you experience everywhere in the Hotel Savoy. 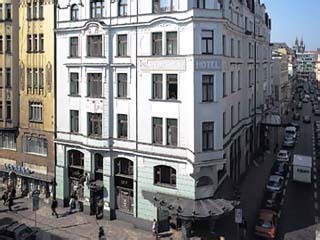 In the early 1990s the newly rebuilt and renovated boutique Hotel Savoy rose from its historical ruins. Behind the original Art Nouveau façade dating from 1911, the discerning guest will enjoy elegant comfort and stylish ambience coupled with the most modern facilities and technology. The discreet and attentive staff pampers each guest with the highest standard of personal service. This rare combination together with its location close to Prague Castle and other major sights makes the Hotel Savoy the ideal choice for both business and leisure travelers when in Prague. The history of the Savoy dates back to the beginning of the 20th century – it was built in Art Nouveau style in 1911 and immediately became a popular place to stay close to Prague Castle. In 1914 a cinema was opened in the Savoy and since then the hotel attracted the attention of the local cultural community as well. 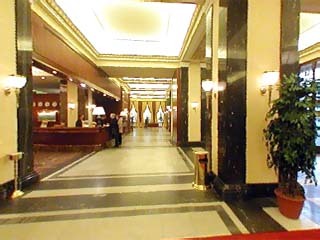 After the Second World War and the communist coup d’etat its reputation had been declining until it was acquired by current owners in 1990 and reconstructed as a five star deluxe hotel. The Savoy welcomed its first guests in the new era in May 1994. It has been managed by the Austrian company Vienna International Hotelmanagement AG and since 2000 the Savoy has been a member of the prestigious chain The Leading Small Hotels of the World. 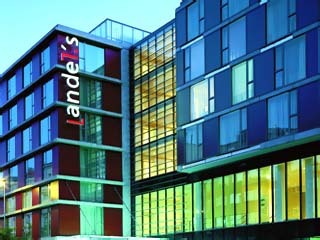 Perhaps the hotel’s best attribute is its perfect location. Just steps away from the Savoy in this chic neighborhood in the heart of historical Prague, is the Prague Castle - the former seat of Bohemian kings and now the seat of President and Prague΄s most famous landmark - with its stunning St. Vitus Cathedral, and Strahov Monastery - one of the oldest monasteries in Europe featuring an amazing Barock library - probably the largest privetly owned library in the whole world. A pleasant stroll along the Petrin hill with the breathtaking view of Prague will take you to the Lesser Town with the magnificent Barock Church of St. Nicholas and Kampa – a charming district known as Prague Venice with narrow twisting streets and romantic hideaways. From here it is only a few minute walk to the medieval Charles Bridge with more than 30 elaborate statues, and the Old Town Square where you can admire the famed medieval Astronomical Clock or just linger in of the cafes that dot the square. It is easy to get to bustling shopping and entertainment areas that offer travelers unique boutiques, lively cafιs and the cozy ambience of one of Europe’s most beloved cities. The Old Town square is just a stone΄s throw from the Estates Theatre, where Mozart΄s legendary Don Giovanni was staged for the first time, or to the Municipal Hall, a fine example of Art Nouveau architecture, which justifiably places Prague next to cities like Paris. Rooms & Suites All spacious rooms and suites are warmly decorated in schemes of bordeaux, royal blue and honey yellow. The Savoy offers 55 luxuriously appointed Deluxe and Executive rooms and 4 Junior Suites. The Savoy Suite and the grand Presidential Suite feature large terraces with a commanding view over the red rooftops of the Hradčany district and Prague Castle. Every possible convenience has been introduced in all double or twin rooms and suites including air-conditioning, satellite TV, DVD, complimentary minibar, 4 telephones, a writing desk, a fax machine, high speed internet access and a radio with alarm clock. Additionally each room has a document safe, smoke detectors and sprinklers. There is a small sitting area in each room. The large marble bathrooms feature a separate toilet, a separate shower and a bath, and are equipped with a hair-dryer, cosmetic bar and bathrobes. A non-smoking floor and a room for the physically challenged travelers are available. Baby cots and wheelchairs are available at no surcharge. Executive Room Executive rooms are on average 30 – 34 sq.m large and are located on the 2nd, 3rd, 4th, 5th (non-smoking floor) and 6th floor facing either the street, Ministry of Foreign Affairs or the yard. Executive rooms are either doubles or twins and some of them can be connected with an adjoining Deluxe room. Executive rooms are not recommended for 3 or more guests. One of the Executive rooms is designated for physically challenged guests. Deluxe Room Deluxe rooms are on average 34 – 40 sq.m large and are located on the 2nd, 3rd, 4th, 5th (non-smoking floor), 6th and 8th floor facing either the street, Ministry of Foreign Affairs or the yard. Deluxe rooms are either doubles or twins and some of them can be connected with an adjoining Deluxe or Executive room. Deluxe rooms are suitable also for 3 guests. Junior Suite Junior suites are on average 47 sq.m large and are located on the 2nd, 4th, 6th and 8th floor facing the Ministry of Foreign Affairs. The Junior Suite on the 8th floor has a nice view of one part of the city. Junior suites have king size beds and the one on the 8th floor can be connected with an adjoining Deluxe room. Junior Suites are suitable also for 3 guests. There are 4 Junior Suites in the Savoy. Family Suite The Junior Suite (#801) on the 8th floor and the adjoining Deluxe room (#802) have special entrance from the main hotel corridor and therefore can be used as a large family suite. In addition to that, the Deluxe room #802 can be connected with the adjacent Deluxe room (#803), thus forming an apartment of 3 rooms with the total area of 120 sqm. Savoy Suite The Savoy suite (or the Honeymoon suite) is 57 sq.m large, is located on the 8th floor and has its own private terrace (50 sq.m) from which you can enjoy a marvellous view of the red rooftops of the Prague Castle area. The Savoy Suite is a romantic retreat from the rush and hectic of modern life. Presidential Suite The Presidential suite consists of two rooms and is 105 sq.m large and features its own private terrace with a nice view of Prague Castle area. This suite is located on the 7th floor and there is no other room on the same floor. Moreover the suite is directly accessible from the garage by a private lift. In addition to the standard equipment, there is a trousers press in this suite. Enjoy your afternoon tea and your complimentary copy of Wall Street Journal or browse through a fine selection of books including Encyclopaedia Britannica in our Library with an open fire-place - an oasis of calmness in the hectic rush of modern living. The best way to unwind after a long day of business and sightseeing is to enjoy the complimentary use of the “Relax Center”. Here the tired guest may heal both body and soul with a quick work out in the fitness room followed by lounging with the Jacuzzi, sauna or steam room. The professional masseuse will knead away the cares and stresses of the day. The Savoy has a professional hairstylist as well as beauty salon. Restaurant Hradcany The Restaurant Hradčany in the Hotel Savoy has distinguished itself among Prague´s gourmets as a leader in innovative and exciting cuisine. Only the freshest ingredients, often imported from around the world, are used in creating both international dishes and hearty, traditional Czech meals. The ambience of the Restaurant Hradčany is grand and imperial. The service is friendly, attentive and personal. At the touch of a button, the glass cupola glides open and the windows silently sink into the floor. The restaurant is instantly transformed into a light and airy garden restaurant making it the perfect setting for any gourmet dish. Live piano music every day between 18:00 and 23:00. Lobby Bar The perfect evening begins or ends in the Lobby Bar, a traditional meeting spot for prominent artists, business leaders and Prague’s cultural elite. The connoisseurs will certainly appreciate the wide range of cigars and cognacs dominated by Hennessy Richard. Happy Hours 1+1=1 Daily between 16:00 and 18:00 buy one cocktail and get another one complimentary.